I completed three work placements at Chikimiki in New York, Luna + Smith in London, and All Knitted Swatch Design in Northampton. During all three of my placements I learnt new skills and also matured as a person. Has your course included any live briefs? Have you participated in any industry competitions? 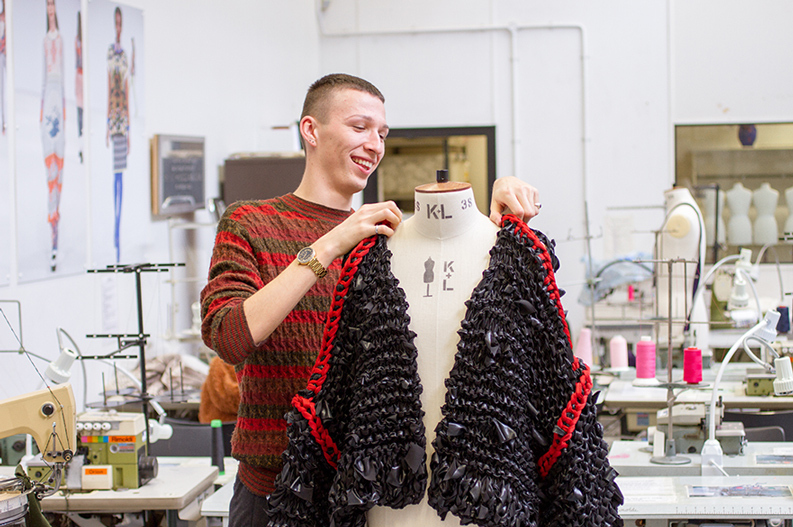 “The knitwear course at NTU comes with an optional placement year which I chose to partake in. I completed three work placements at Chikimiki in New York, Luna & Smith in London, and All Knitted Swatch Design in Northampton. Where do you hope to be in the next five year?